Weight loss is one of the main things that everyone strives to achieve everyday. However, not a lot of people are actually able to succeed with their goals. Losing weight involves a ton of hard work and a lot of determination, as without those two vital things, you won’t see your desired results. If you find being fit and eating healthy to be a tough task, then you must consider to implement a couple tips to your life to broaden your entire weight loss knowledge. In order to truly see a positive change your life physically, you must be ready to make the needed changes. 1) When people try to diet, they usually just lower down their calorie consumption of the day. Although this can help you to lose weight, the results you see won’t be visible right away. Your diet must be completely balanced from the protein to the sodium, and from the sugar to the carbs. Try to eliminate all the junk and processed food in your diet. These foods include anything that couldn’t be found hundreds of years ago. If you can’t maintain a diet that’s solely of unprocessed and junk food, try to just balance your entire diet while not completely depriving yourself from these foods. 2) Secondly, make use of those calorie counting websites. Losing weight can be very confusing when you don’t have any knowledge on nutrition facts. To make the entire calorie and nutrient counting process to be much more efficient and less daunting, consider joining a calorie counting site like LiveStrong or MyFitnessPal, as they enable you to keep track of your progress and the food you eat daily. 3) Thirdly, try your best to drink tons of water throughout your day. The more water you drink, the less hungry your body becomes. If cravings happen to be your weakness, try drinking one glass of water before every meal so that you won’t feel the need to eat more than you should. This takes a lot of willpower, but once you do get the hang of it, you will be losing weight like crazy. 4) Furthermore, it is much better to eat five tiny meals each day as opposed to three huge ones. Try to spread out your meals and eat them throughout your day. This will help you to stay full and satisfied throughout the day without feeling deprived. Just make sure that the meals are completely portioned out properly, because you do not want to eat five big meals everyday. 5) In addition, try to implement fat burning foods into your diet. These foods include red bell peppers, apples, broccoli, yogurt, almonds, oatmeal, and so fourth. These foods have been proven to help speed up the metabolism while also promoting more regulated bowel movements. It is also important that you buy these foods in their purest form. You do not want to eat anything that the has been processed, because the nutrients that are in them are no longer there nor are they fresh. 6) If you tend to be a very busy person that doesn’t have time to always eat healthy, consider to take one day out of each week to cook all your meals. Make sure that you properly refrigerate them so that they do not get spoiled, and every time you are out, you won’t have to worry about caving into fast food. Although fast food can be harmless if you have them once every now and then, if it has become a big part of your daily menu, even if you’re not gaining weight, your body isn’t at its best health. The moment you eliminate fast food and alternate those meals with fresh nutrient rich meals, you will immediately shed off pure fat that your body doesn’t need. 7) Lastly, try your best to eat your food as slowly as possible. The more you chew your food, the faster your body will be able to metabolize it. Avoid eating fast no matter how busy you may be, because when you eat fast, your body will obviously not digest it as fast at it can. If eating slowly is a bit tough for you, try to cut your food into tiny pieces. This will force you to eat much slower and also allow you to enjoy the flavor of the food. Many people tend to pin point the areas they dislike about themselves the most and try to do exercises that solely focuses on those areas. Honestly, you can’t lose fat or weight in just one area, as the body can only get smaller if you workout the entire body. If you want to lose fat in your legs, you will also need to workout your arms and core, it just works that way. If you want lose weight in your stomach area, you have to workout your legs and arms as well to see it shrink. So instead of looking good being your main goal, consider to make being healthy to be your main goal. Weight loss is a by product of healthy eating and exercise, so no matter what, you will see results. Losing weight in general can be very boring when you don’t have a companion pushing you to do your best in the gym or stay on your diet. While losing weight, consider having a friend by your side for the first couple weeks so that you can stay motivated. When you are all alone trying to diet and exercise, you will find yourself constantly contemplating whether to continue your lifestyle change or not. However, with a fitness buddy, you will be able to take control of your life better since there is someone with a similar objective supporting you throughout your journey. Chew food thoroughly before swallowing. Portion control. Mix and match vegetables and fruits. Have a cheat day. Exercise often. Try different diets. Deprive yourself from food. Overindulge in one food alone. Lose motivation. 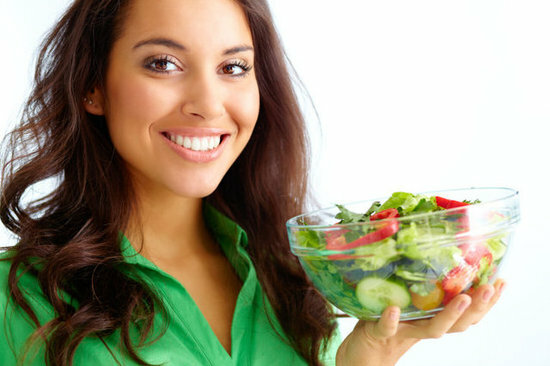 Losing weight can certainly be a much easier and less intimidating task when you implement the tips and advice above. When you know how to implement the best healthy eating methods to your life, that is when you will see the results you have always been waiting to see. This entry was posted in Blog and tagged healthy eating, healthy liviing, tips, weight loss. Bookmark the permalink.